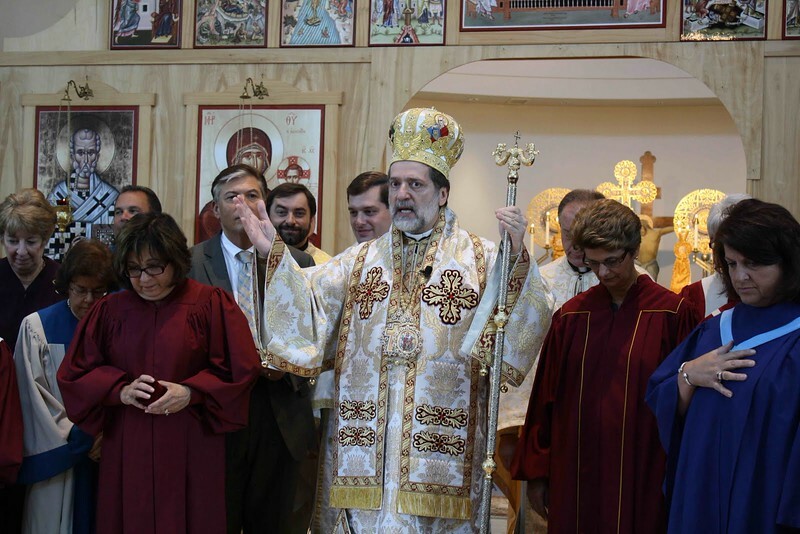 The Mid-Eastern Federation of Greek Orthodox Church Musicians (MEFGOX) held its 64th Annual Convention at the St. Nicholas Church in Ann Arbor, MI, a parish under the jurisdiction of the Metropolis of Detroit. Metropolitan Nicholas and other distinguished guests were present to honor the choir ministry and its devoted stewards. Chris Zervos' new version of the Divine Liturgy was sung on Sunday, July 17, conducted by guest director Evey Simon.